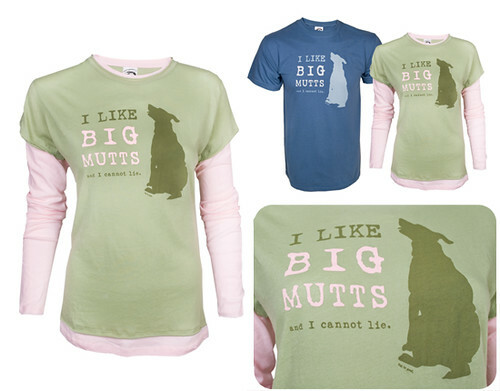 Thank you to everyone who entered to win the Womens "I Like Big Mutts and I Can Not Lie" green/pink twofer long sleeve tee from Dog Is Good! This is just one of their clever slogan shirts for dog lovers! Congratulations to Sue and her beautiful pack! The Lapdogs can't wait to see the Water Dogs' Mama sporting her new tee! Thank you again to everyone who entered... and remember, you can use the exclusive coupon code LAPDOG to save 20% off your order at DogIsGood.com now through August 31. Wag on over and get something for back to school season or start your holiday shopping! Stay tuned for some fabulous reviews and giveaways coming this week... you won't want to miss them!! Yeah!! I can use some good news today. A lot of not so good stuff has been going on. Thanks Nic! Just to stop in and say hello! I feel like I haven't visited in awhile!